After school I had to run up to the resort to take care of some stuff. As soon as I was done, Mike was finishing up his full day trip. We decided to hit a stream just off the mountain. There was a decent amount of people at the stream, but they were in all of the main pools. So we decided to hit all of the pocket water between all of the people. It paid off very quickly. I caught two in about eight casts. 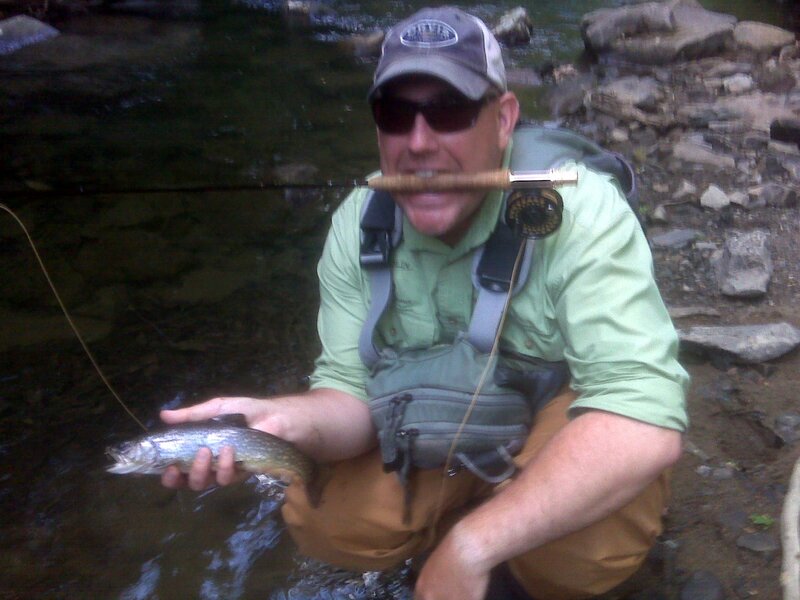 One on a #22 crystal midge dropper and the other on a #16 X-Caddis. Mike went to his goto, a foam beetle. 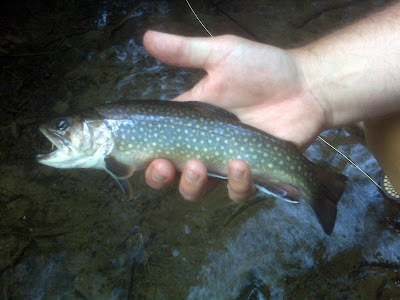 Once again, One cast and a nice brookie. We went on to catch six out of the first spot we fished. We then moved to a pool further down the stream and we stayed there till dark. We caught them on many types of dries. 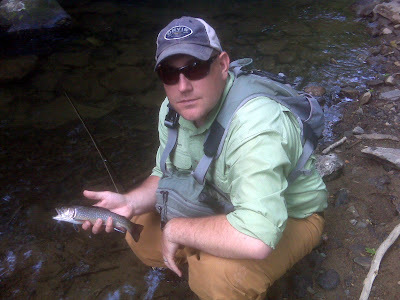 Mike and I did some sight nymphing as well with a #14 yellow stone nymph. It was very productive and I got a bit better at sight nymphing to feeding fish. By 8:00pm, there were numerous Coffin Flies around. The fish would only take a Coffin Fly if it was skittering around. 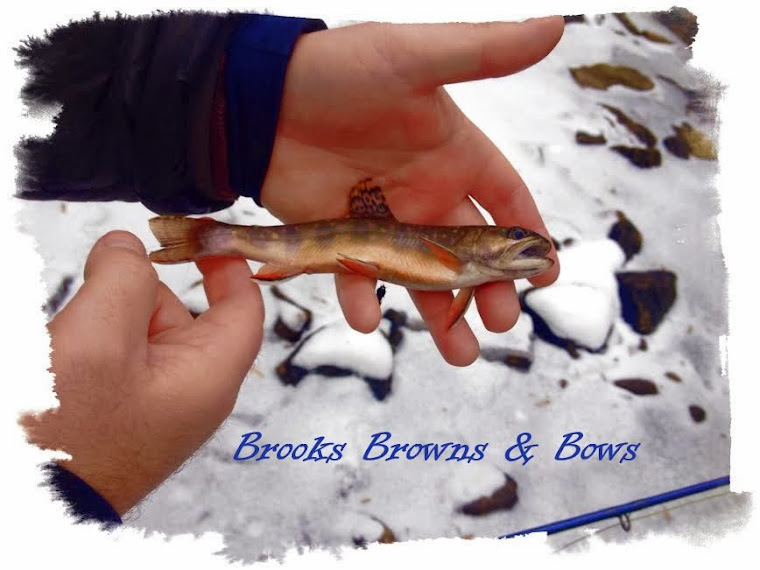 We watched one wild brookie do some serious leaps at these spinners in the air. About 20 fish rising throughout the pool. It was quite the treat. We ended the night with about 35 fish between us. 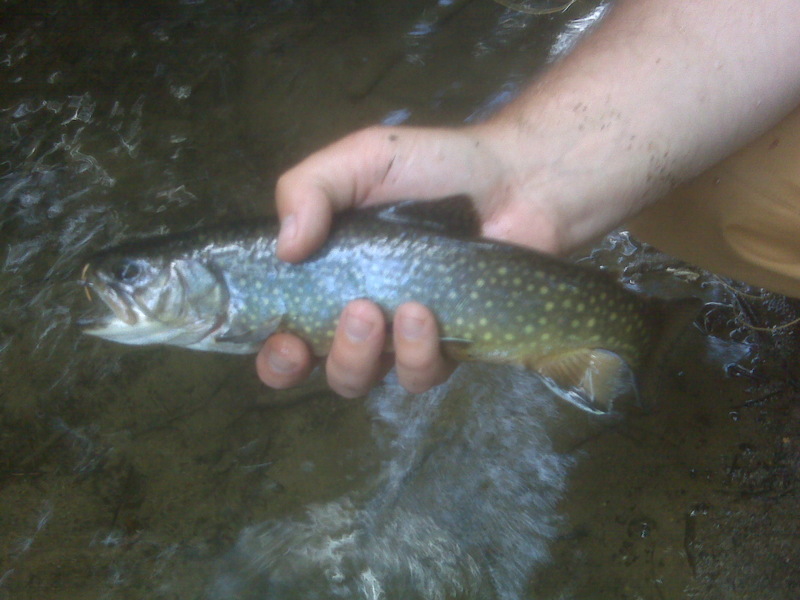 All brookies with two browns mixed in. I will be back to this fishery in the next few days to fish after work. Mike, in the photo, is one of the best nymphing guys I have ever fished with. He would rather nymph than throw dries any day. With rain in the forecast, seems like our drakes are done for the year now..